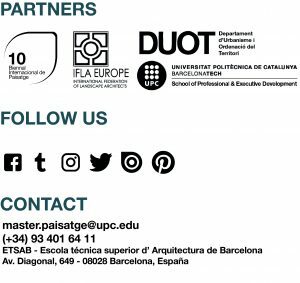 2012 – 2013 – Master in Landscape Architecture Barcelona – Universitat Politècnica de Catalunya – 35ª EDITION. METAPHOR OF PLANTING. An evolutionary systematic approach of Landscape Architecture.